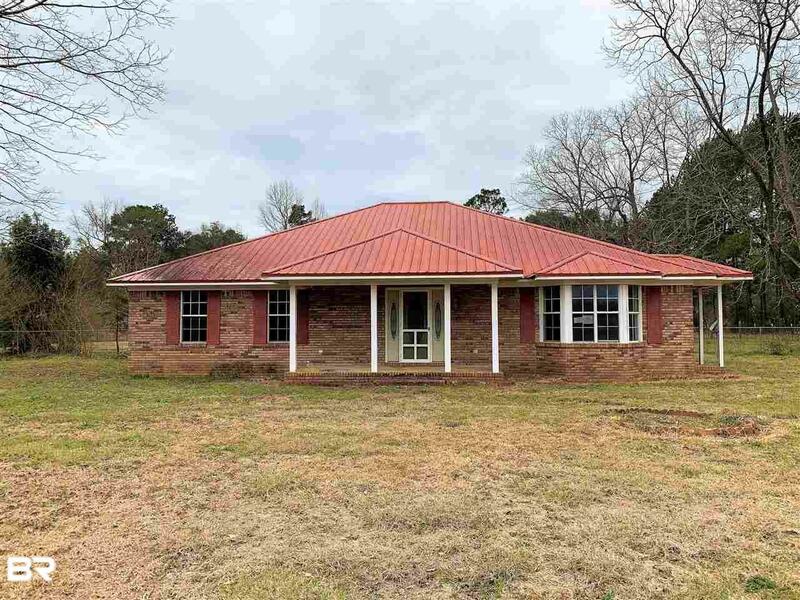 Enjoy country living on this 5 acres! This home with over 1900 SF features three bedrooms and three baths with a 4th room that just needs a closet! The spacious kitchen offers plenty of cabinets, breakfast bar and breakfast area. The large living room with fireplace leads to the sun room. There is a garage/workshop and fenced back yard. This property may qualify for Seller Financing (Vendee). Alabama right of redemption may apply. Listing provided courtesy of Port City Realty North. Listing information © 2019 Baldwin County Association of REALTORS® MLS.